Have you taken a good look at your residential windows lately? Do one or more of them stick or not remain in place when you raise the sashes? Now might be the ideal time for new windows in Newmarket. Before you make any decisions, there are some things you should consider closely. Doing so will help you make wise choices about the replacement windows and ultimately be happier with what you’ve come up with as your solution for those windows in Newmarket. Before you spend a lot of time looking into replacements for your current Newmarket windows, consider the fact that you might not need them. Depending on what’s wrong with the windows, the cost of repairing them may fit into the budget easier. If those repairs would add a decade or more of useful life to the windows, this choice is more financially sound. How will you know if repairs are better than replacing those aging windows? Contractors with reputable windows companies are happy to conduct thorough window inspections. What they find will make it possible to determine if repairs are possible. If so, the cost of those repairs can be compared to the expense or wood, metal, or vinyl windows replacement. Depending on how those costs compare and the range of benefits that would result from each choice, you can decide which approach is in your best interests. Assuming the cost of repairing your older Newmarket windows renders this approach unsound, it’s time to think about what sort of replacement windows would work best. One of the first things you will learn is that more than one window style will work for your home. This is good news if you were never that crazy about the type of windows you have in the home. Maybe the style makes the place look dated or you find them difficult to operate or keep clean. By switching to a different style of windows in Newmarket, you eliminate the headaches and turn the windows into a feature that you actually like. For example, the house had roll-out windows when you purchased the property. You’ve never really liked them, especially since they are older and don’t always close completely. You could have a contractor remove those windows and replace them with casement or awning windows. Both would add visual interest to the house, be easier to clean, and certainly easier to operate. As experts from any of the top windows companies will tell you, energy ratings do matter when you are looking at replacement windows. It’s true that many factors go into determining how energy efficient the home happens to be. Even so, windows that fit snugly and are free of any points of air seepage are certainly an asset. Opting for windows with double or triple panes is one point to consider. Materials that are less likely to expand and contract during extreme temperatures is another factor that should be addressed. By going with windows that provide a more reliable barrier to outdoor temperatures, you will find it easier to control the temperature indoors. Remember that contractors will help you understand how energy ratings are structured and what they mean. That makes it all the easier to look at a brand or design and know that it’s a good choice. Those same contractors can also point out the tax benefits of investing in new windows with certain levels of energy ratings. That information will make it all the easier to know if a vinyl windows replacement is the right choice for your home. Much of the emphasis on selecting new windows in Newmarket has to do with the style and materials used for those windows. Those factors are important, but don’t underestimate the importance of having the new Newmarket windows installed by a reputable windows company. Not all windows companies are of the same quality. Your goal is to select a contractor who has quite a bit of experience with the type of windows you need removed and the ones you want installed. The company’s reputation should indicate that the contractor and installation team place a great deal of importance on doing quality work, showing up on time, and making sure the windows are in perfect working order before they leave. Knowing they have a reputation for cleaning up before they consider the installation complete is also important. Check online for reviews and comments left by past customers. You can also ask people in your social circle if they are familiar with a certain company and listen to what they have to say. Doing so will go a long way toward helping you find the right contractor as well as the right windows. Has someone told you that replacing your windows in Newmarket has to wait until certain times of the year? While it’s true that it’s easier to install replacement windows when the weather is more moderate, contractors have the equipment and the skills to manage a window replacement any time of the year. If your home sustains damage and it’s cold outside, you don’t have to make do until spring arrives. You can bet that the right contractor can set up a plan for a complete vinyl windows replacement in less time than you thought possible. This is especially true if all the windows in your home are standard sizes. 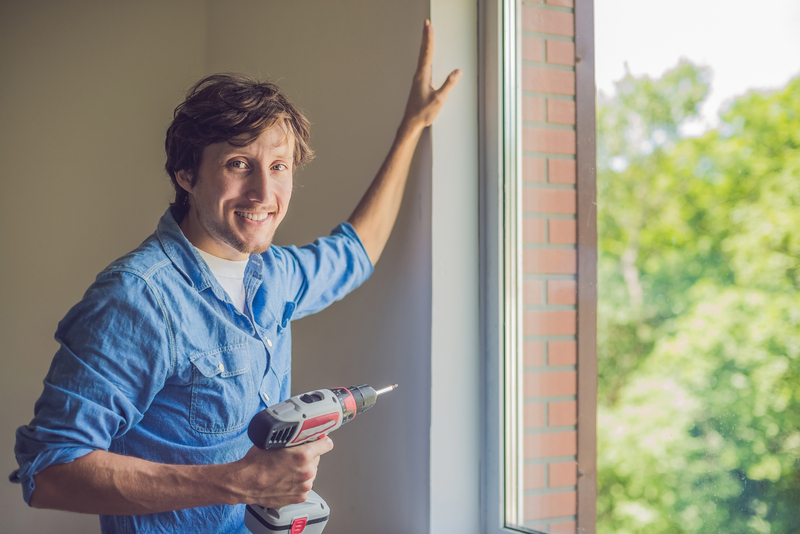 Keep in mind that contractors typically replace windows one at a time, so it will be easier to keep parts of the house warm while the team works on replacing the windows in other areas of the home. Do you have other questions about Newmarket windows and what you can do with them? Experts with reputable windows companies are ready to provide answers. Before you know it, you will have all the information that you want to decide between repairs or replacements, the benefits of choosing a vinyl windows replacement, and understanding how long it will take to complete the job.